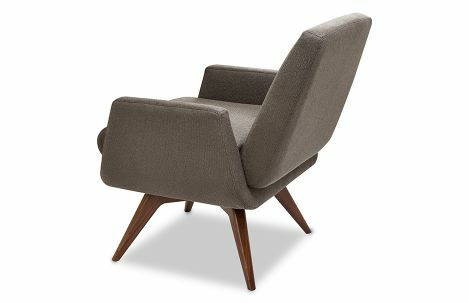 Landon is the American Walnut + Ash update of our popular Marshall chair designed by John Mascheroni. Landon's crisp contemporary lines blend smartly with the neatly angled American walnut or gray ash base, with legs that are shaped elegantly. 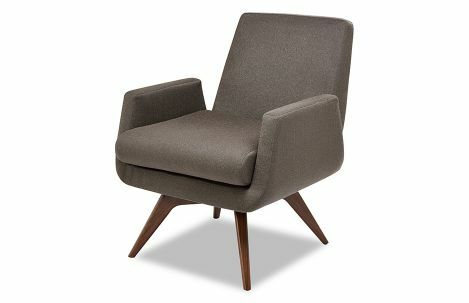 The chair's small footprint makes it an unobtrusive yet styles addition to any room. Landon's memory-swivel mechanism allows it to turn about 120 degrees in either direction, and returns to center.